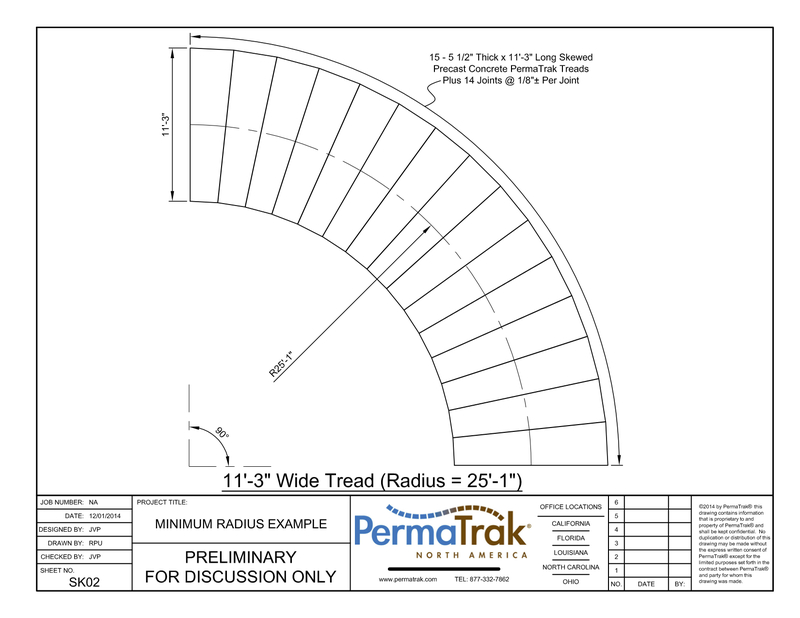 Click below to download a PDF sample of PermaTrak's engineering details, include plan views, typical cross sections and a complete set of boardwalk construction documents. 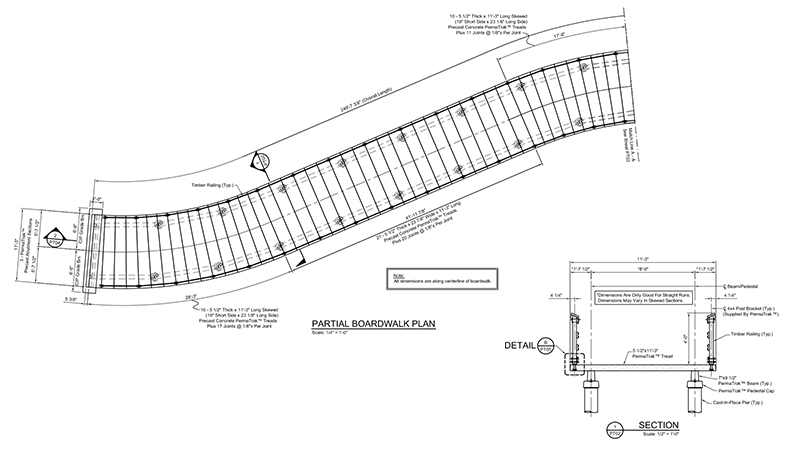 Note: If you need a custom set of drawings specific to your project, contact our engineering team for boardwalk design and layout assistance. 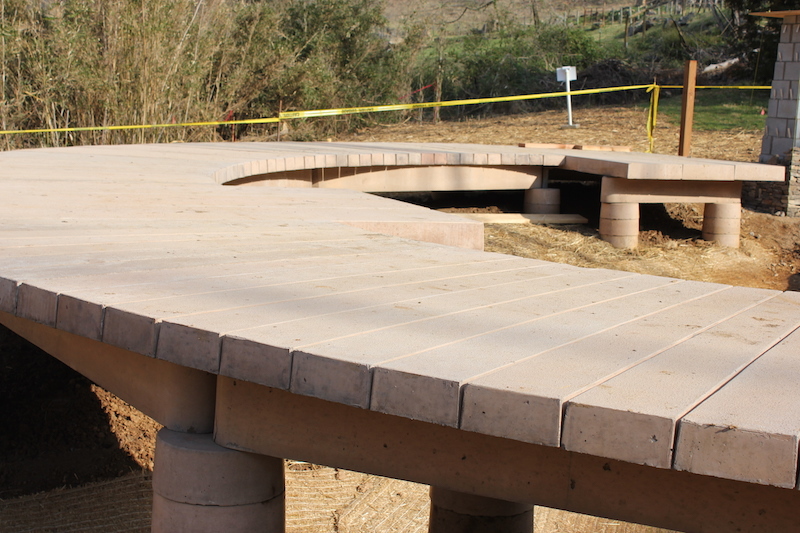 PermaTrak's skewed treads allow designers to incorporate curving sections of boardwalk into their trail or greenway projects. 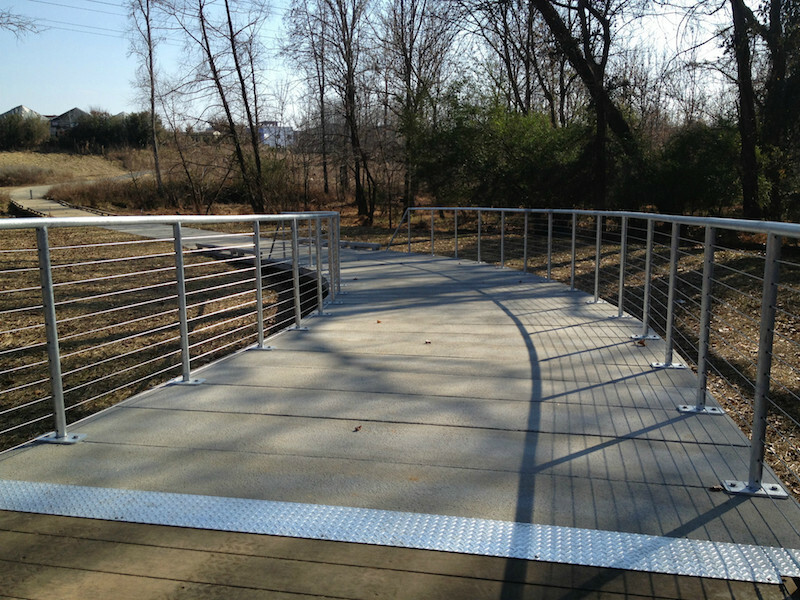 How can you know if a PermaTrak boardwalk will allow for a tight enough radius to match your trail's intended alignment? 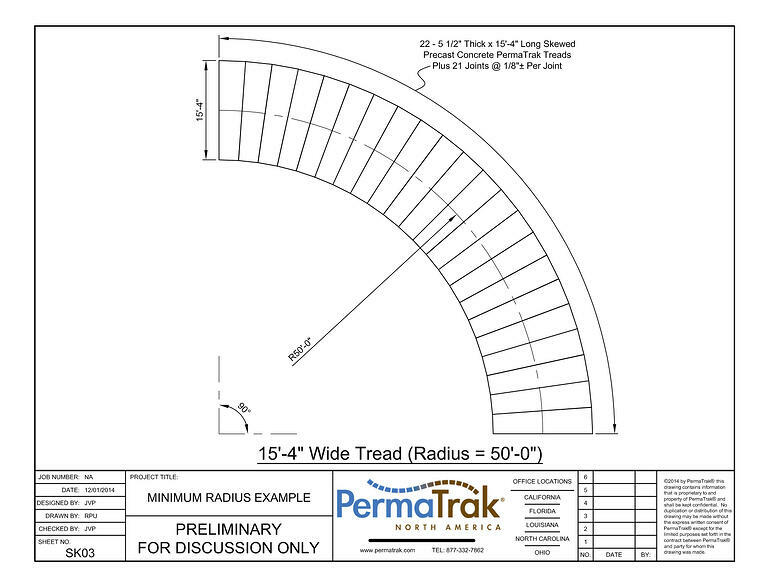 Below is simple chart and accompanying sketches to show the minimum guidelines for radii for various PermaTrak tread sizes. 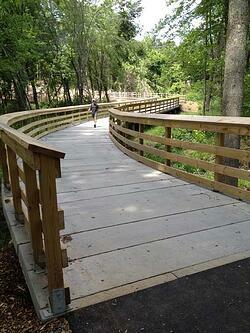 Curved alignments are accommodated by creating a series of wedge shaped treads. Although not always placed in pairs, it is the preferred choice to ensure a proper fit. The degree of a turn is unlimited and simply depends on the quantity of wedge shaped treads. The minimum turning radius is a function of the selected tread length (10”, 24" or 36") and tread width (3’-9”, 7’-6”, 11’-3”, or 15'-4"). 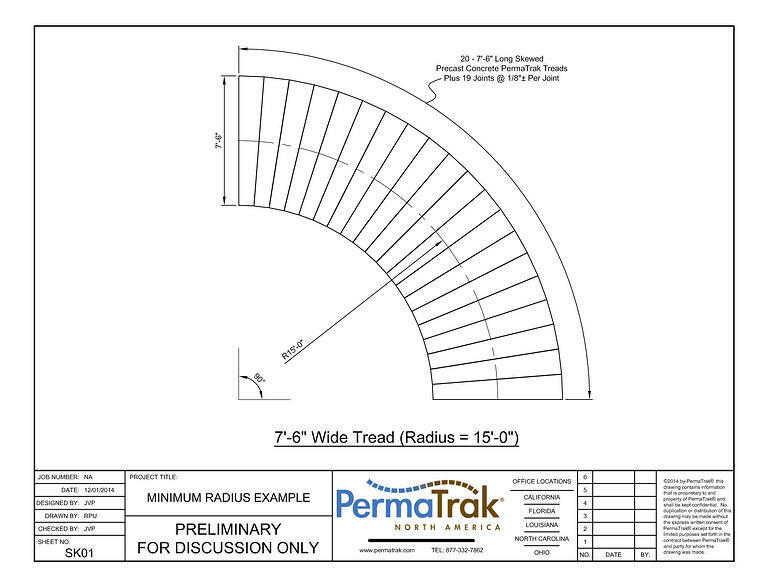 Nothing is set in stone, but these radii shown in the drawings below allow for the best use of PermaTrak's precast concrete beam lengths. 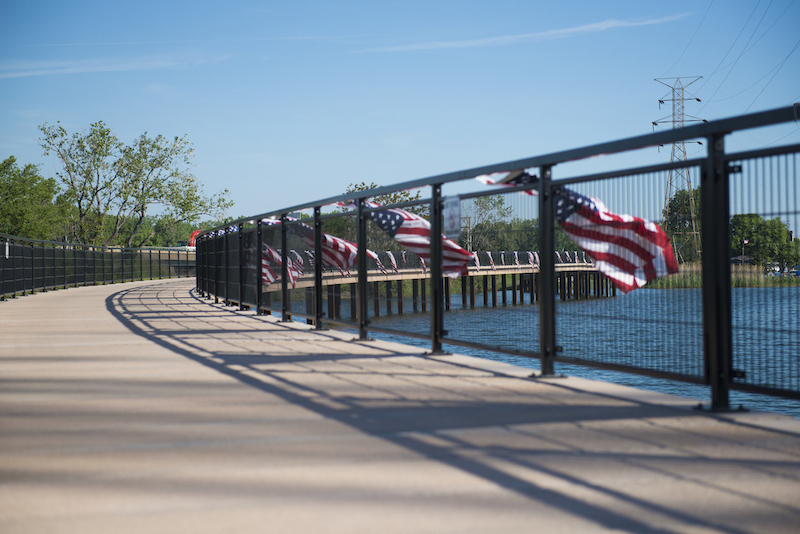 In other words, we can tighten the radius but it may require an additional pier to allow the beam to run the radius.